We stock a large selection of discount Ariens parts for sale online. Our large catalog of wholesale Ariens parts and excellent service here at RCPW will keep your Ariens lawn mower or snowthrower running for many years. Not sure what Ariens lawn mower part you're looking for? Give our trained staff a call at 800-937-7279. We've been an authorized Ariens service dealer for over 20 years and are ready and willing to provide you with the information you need to make sure you order the right Ariens part -- the first time! You can also browse our parts catalog below, type in your Ariens part number into the search box or look up your Ariens model using our parts lookup. Not sure what you're looking for? 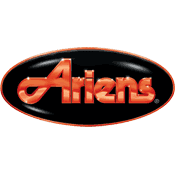 Browse all genuine Ariens parts here. Lawnmower parts - original OEM and aftermarket parts. Ariens lawn mower replacement parts - OEM or aftermarket parts available at discount prices from RCPW. See our selection above or enter a part number to begin ordering parts. Whther you need replacement parts for the 8524 snowblower, the ST350, ST270, 926001, 5524, 932001, ST524, ST504, 8526, ST824, 1128, 11528, 922002 and more, you'll find it here at RCPW. We specialize in belts, augers and other replacement parts, all at great prices.